Whether smacking the wake head-on, or just out for a fun weekend tow, the Gator Boards Lux Wakeboard for women is a fierce and feisty piece of equipment. The board's 3-stage rocker means you will get a boost from the wake without having to worry about a rocky, choppy landing. This board can rip it up with the best of them! Included straight tracking fins and a long, deep center channel help water flow evenly off the board's tail, providing you with plenty of stability. 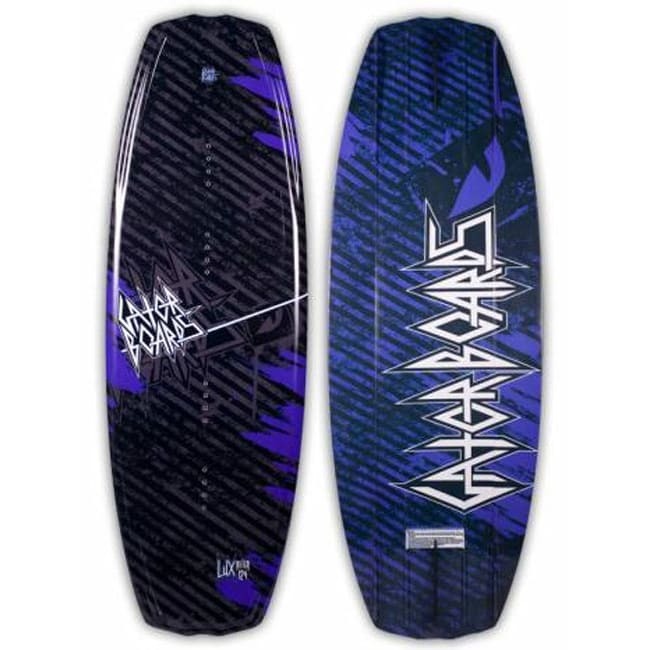 A great all around ride, the Gator Boards Lux Wakeboard for women will not steer you wrong! Can not accommodate bindings with a 6in binding plate. Can accommodate bindings with a 8in binding plate in all position options found here. Purchased 124 cm to get my 7-8 year old kids started. A tad big but it will fit by next season. Not a brand that they sell any more but these were good boards. I did my first tantrums and rolls on Gator boards and they were a good ride. Lots of pop I remember, and lots of rocker like the CWBs so catching your nose for beginners is less of an issue. Is this big enough for a 145lbs, 5’3 girl? No, the largest person that I would recommend putting on this board would be someone who weighs 100lbs.